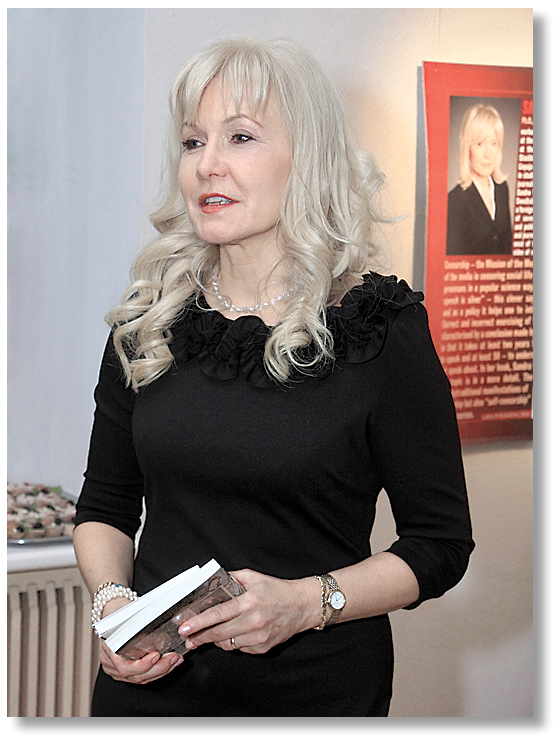 Fashion designer GINTS BUDE participated in presentation of books by SANDRA VEINBERG! Presentation of monographies “THE MISSION OF THE MEDIA. TENDENCIES OF PRESS DEVELOPEMENT IN LATVIA AFTER RENEWAL OF STATE INDEPENDANCE (1990-2010)” / “MEDIJU MISIJA. PRESES ATTĪSTĪBAS TENDENCES LATVIJĀ PĒC VALSTS NEATKARĪBAS ATJAUNOŠANAS (1990-2010)” and “CENSORSHIP-THE MISSION OF THE MEDIA” by known journalist, publicist, PR and media researcher living in Latvia and Sweden SANDRA VEINBERG took place in BIRKENFELDS art gallery in Riga. A lot of professionals who dares to speak about things which others are hiding or are not talking about came to presentation of SANDRA VEINBERG’S book.